Traditional browsers run on blind trust. Silo assumes zero trust by running the browser in the cloud. Web code can’t be trusted. Organizations know that every page view means risk to the business. Silo restores your trust in the web through isolation, control and audit of the browser. Silo executes all web code on our servers. Nothing touches your endpoint, and untrusted endpoints can’t corrupt your environment or your data. IT-defined policies are embedded in the browser profile. Control the browser and govern use of the web, just like you would any enterprise solution. Centralized, comprehensive, and encrypted audit logs of all user and admin activities. Reduce your costs of compliance and oversight. Shift your attack surface area off your network and devices to disposable, anonymous cloud infrastructure. Simplify your IT stack. Stop spending on “next-gen” anything. Gain leverage with a centralized, managed browser instance. Improve productivity and satisfaction across the user community. Give them access to the web without exposing your company to risk. Silo is a Cloud Browser that puts you back in control of the web. 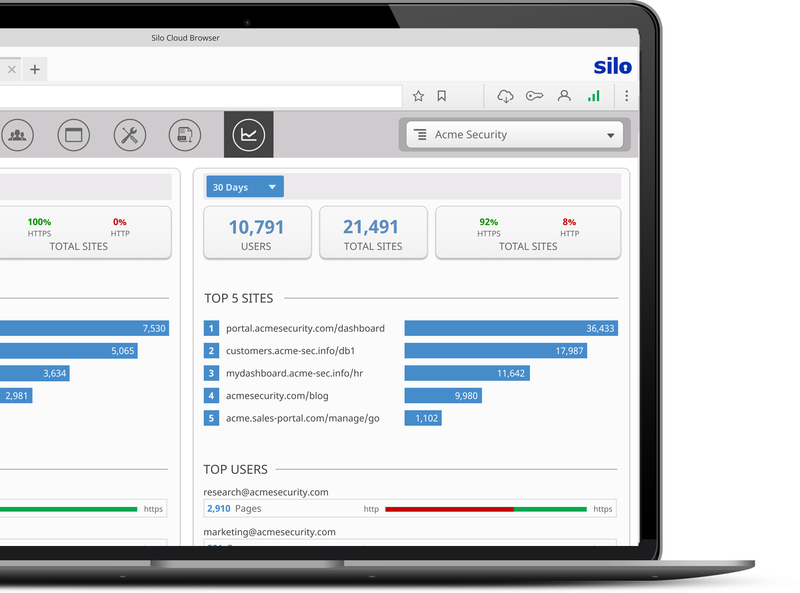 Silo simplifies and strengthens your IT security. What is a cloud browser?